Landing Zero Theme at www.bootstrapzero.com is a device-agnostic, modern responsive design that is customizable. It's designed to work well on desktops, laptops, tablets and mobile phones. Here's a Bootstrap landing page theme with a full-screen video background. 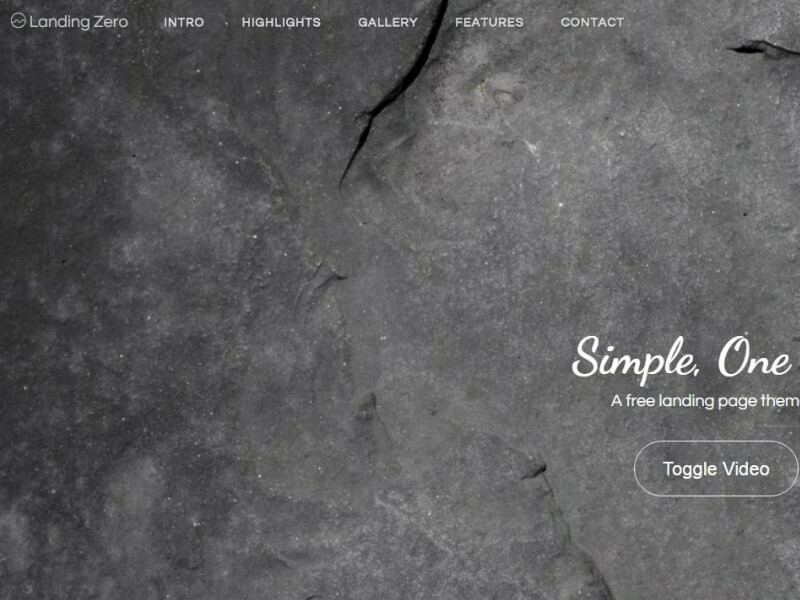 This single-page Bootstrap template has a sleek dark/grey color scheme, accent color and smooth scrolling. There are vertical content sections with subtle animations that are activated when scrolled into view. Also included is a gallery with modals that work nicely to showcase your work portfolio. Other features include a contact form, email subscribe form, multi-column footer.